Pete Carroll and John Schneider have to be kicking themselves over how badly they screwed up with Mark Glowinski, who has to be just as happy that they released him from Tom Cable’s broken system in 2017 so he could get his career going in the right direction. The guard was a good pick by Seattle in the fourth round in 2015, coming off an excellent college career at West Virginia, and he should have become one of Seattle’s line mainstays. Instead, Carroll and Schneider let him go in 2017 and he turned into one of the Indianapolis Colts’ best linemen in 2018, earning a contract worth $6 million a year. Glowinski is the latest — maybe the greatest — example of how Cable’s system held players back in Seattle. That’s what some fans are asking after the Seahawks surprisingly waived the third-year guard among their moves Saturday — while putting Kam Chancellor on IR and calling up practice-squad linebacker Kache Palacio and cornerback Mike Tyson. Chancellor had languished on the 53-man roster ever since he was injured against Arizona five weeks ago. With injuries to Bobby Wagner and K.J. Wright, the Seahawks need potential reinforcements at the position. The Seahawks’ $8 million gamble failed. Luke Joeckel made it five games before hitting the shelf again. He’s out at least a month, and it could be a lot longer. He’s just the latest big-money addition that hasn’t turned out for Seattle. In eight offseasons in charge of the Seahawks, John Schneider has paid 11 outside veterans at least $4.8 million a year. For a variety of reasons, just two of them — Michael Bennett and Cliff Avril — have turned out to be worth it. Unless Joeckel returns for the final five or six games and helps steady the offense through the playoffs, he will end up joining the likes of Sidney Rice, Zach Miller, Robert Gallery, Matt Flynn, Percy Harvin, Cary Williams and Jimmy Graham as big-money busts. The Seahawks left themselves light at defensive tackle when they cut down to 53 players, choosing instead to keep 10 offensive linemen and J.D. McKissic. It almost came back to bite them Sunday vs. San Francisco, as Carlos Hyde ripped off two big runs as he became the first back to go over 100 rushing yards twice against Pete Carroll’s defense in Seattle. So Carroll decided to beef up the middle again, calling up Garrison Smith from the practice squad to replace David Bass. It’s the first of what could be two or three moves in the trenches this week. When will Hawks’ O-line investments pay off? 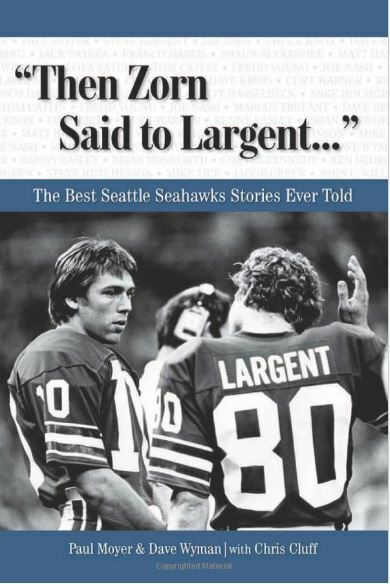 Talking about it is tiresome, but it’s really the only thing hindering the Seahawks from winning another Super Bowl, so, until the Seahawks fix their offensive line, it will remain the topic du jour. People can talk all they want about Kam Chancellor’s 2015 holdout or Earl Thomas’ 2016 injury being major factors in the Seahawks not advancing far in the playoffs those years. But the simple fact is: If the Hawks’ offensive line had been anywhere close to average in those seasons, the Hawks would have had a great shot at winning the Super Bowl — even with the issues in the secondary. So now here we are again, coming off a significant opening loss to one of Seattle’s top NFC rivals, and the offensive line remains the biggest hindrance to Seattle’s success. And we have no idea if it will become any good, despite the insistence of Pete Carroll and Tom Cable that it will. When Luke Joeckel signed with the Seahawks in March, it seemed like the logical move would be to make him the left tackle — he had much more pedigree than the undrafted George Fant. But coaches thought Joeckel was better at left guard and Fant had promise at tackle, and that’s how they had lined up — and were set to line up in the opener at Green Bay — until Fant was injured Friday vs. Minnesota. Now Fant will have to wait to prove his improvement and Joeckel probably is headed to tackle, where he was drafted to play by Jacksonville with the No. 2 overall pick in 2013. Will any other O-linemen be as worthy as Britt? 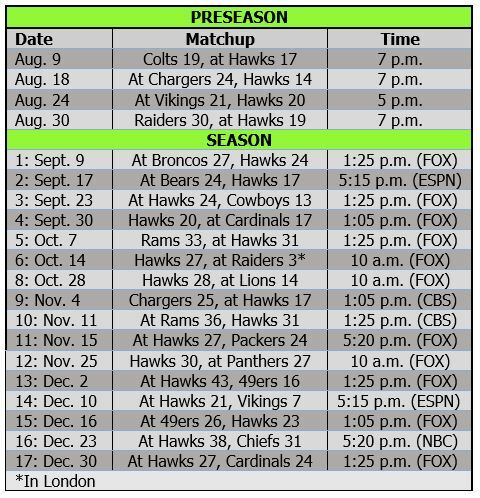 We learned a lot about the Seahawks’ offensive line over the past couple of days — and we’ll learn a little more tonight when the Hawks host the Minnesota Vikings. On Wednesday, Tom Cable announced that three-fifths of the line is set for the season opener, and Thursday the team announced that one of those three is set for the next four seasons — Justin Britt signing a three-year, $27 million extension. It’s the only second deal for a Seattle starting lineman since 2012, when the team re-signed Breno Giacomini and extended Max Unger. As everyone knows, those two and the rest of the 2013 Super Bowl line were all gone by 2016 — none of them meriting what the market dictated the Hawks would have to pay. His first two years, it certainly didn’t look like Britt would buck that trend. But he found a home at center last year and benefitted from the departure of J.R. Sweezy, becoming a technician rather than a Sweezy-style brawler. “He has been a fantastic leader for us up there,” Pete Carroll said. “He had an excellent (2016) season and (has) played three spots and started at tackle, guard and center now. We really think he is in the best spot for him. I think it’s a recognition and acknowledgement of the player and teammate he has become for us. 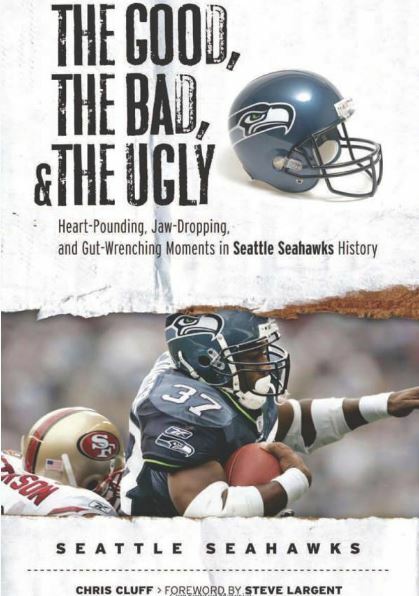 Why did the Seahawks let Garry Gilliam go to the 49ers? It’s a question some fans are asking, but the answer is simple: They didn’t want to guarantee $1.4 million to a guy they probably were going to ask to take a pay cut this summer anyway. It was a 50-50 proposition that the Seahawks were even going to tender Gilliam back in March, but they gave him the low tender, $1.8 million, because they were short on bodies. When they were able to add Luke Joeckel and Oday Aboushi in free agency, it gave them the flexibility to bump Germain Ifedi to right tackle. With the 2016 first-round pick expected to win that job, Gilliam, the former undrafted player who struggled in 2016, looked destined for a backup role. As they have done with many previous restricted free agents, the Hawks then would have asked Gilliam to take a pay reduction from the $1.8 million tender. So, when the 49ers came over the top with a $2.2 million deal that guaranteed almost the entire amount of the RFA tender, it was a pretty simple decision for the Hawks.